On a global scale, women are less likely than men to start their own businesses. This is evident from the above graph, taken from the “Policy Brief on Women’s Entrepreneurship.” The data shows that in every EU country, from 2010-14, there were significantly less female owners of new businesses, than male. Why is this the reality? As displayed by the image, at least thirteen out of the twenty-two countries in the EU showed a significant gender gap in perceived accessibility to business training. This is where wegg™ can help. Our mission is to educate, inspire and nurture women business owners and entrepreneurs worldwide on how to go global so they can run healthier businesses and create a new future for themselves, their families and their community. We provide monthly resources for women entrepreneurs to become educated on current business strategies in order to go global. If you are interested in entering business, or growing the business you already have, wegg™ can help you. Please check out our website, to discover possibilities you did not even know existed. 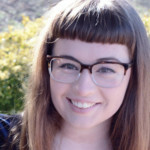 Lucy Brooks is wegg’s® Communication Intern. Her areas of study center around analyzing and composing literature pertaining to Women and Gender Studies.